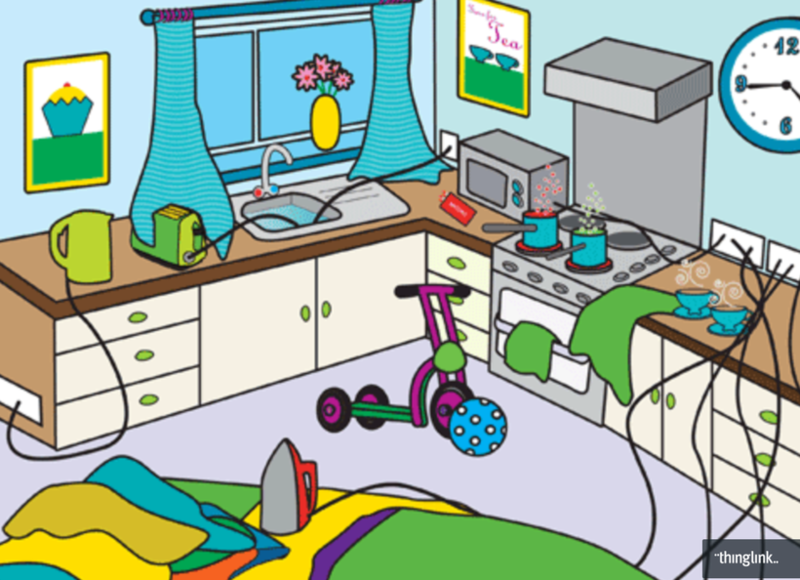 As an introduction to our new Science topic, Electricity, this week we have been learning all about the dangers of electricity and how to stay safe. 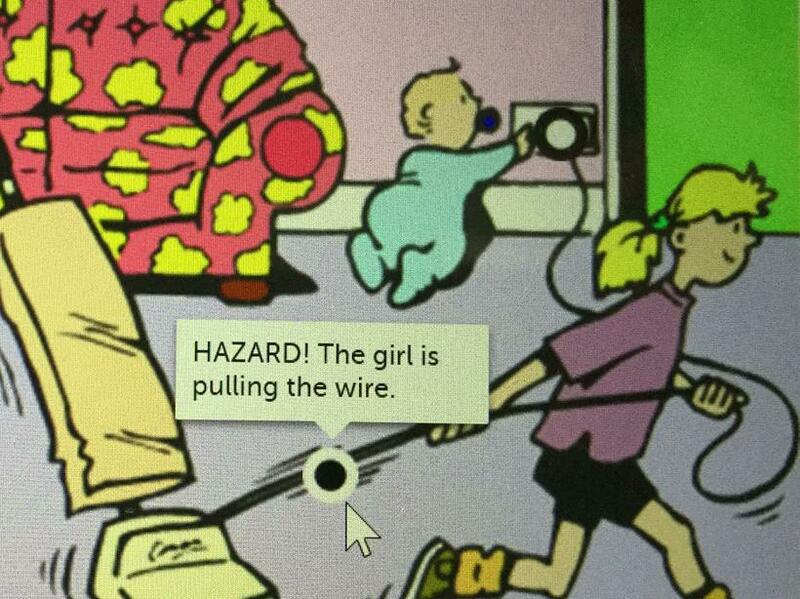 Staying safe around electricity is vital. 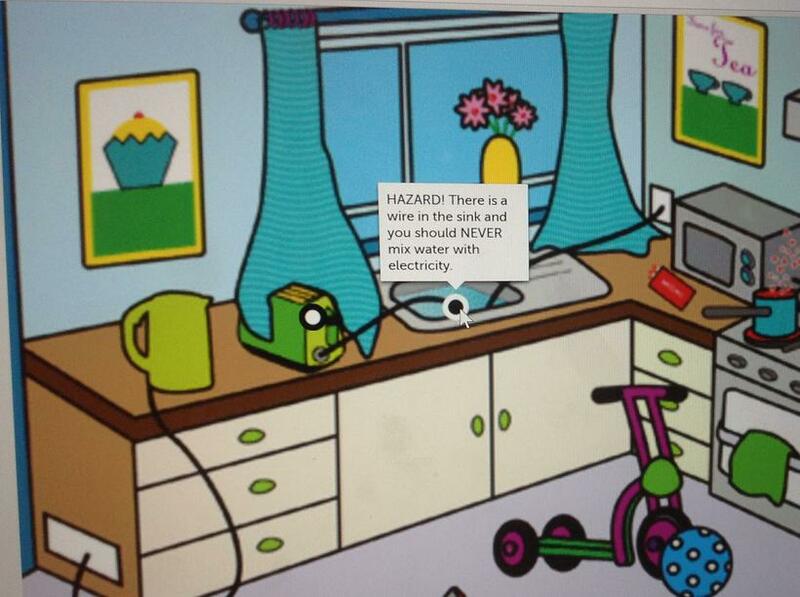 Some of our rules for staying safe around electricity are below. 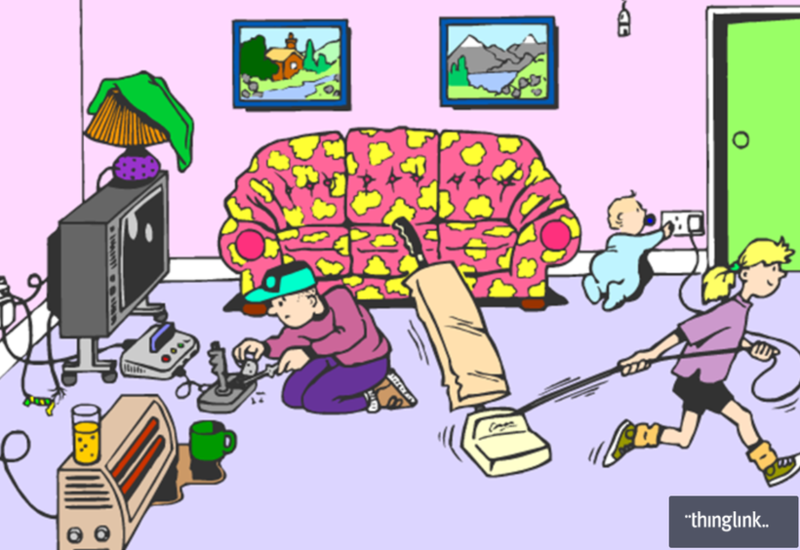 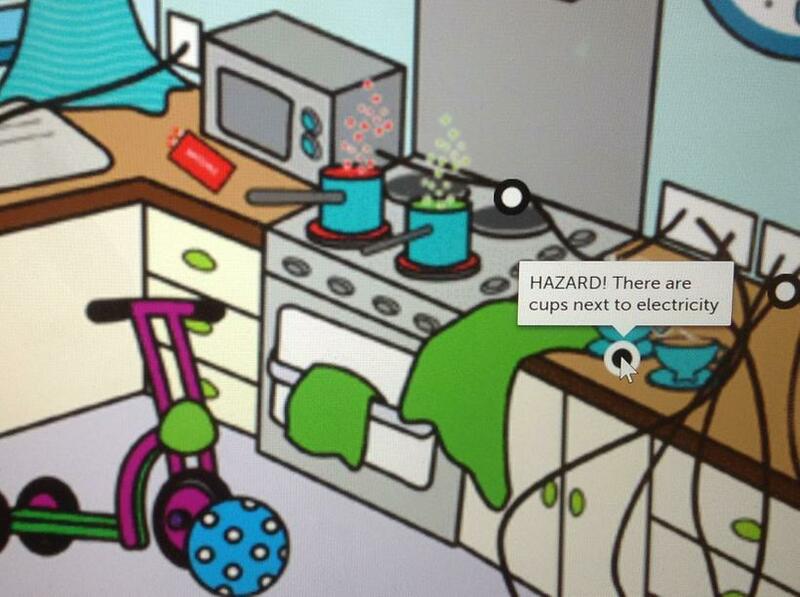 To help us with our knowledge of electrical safety, we used the 'ThingLink' website to create interactive images that highlighted electrical hazards. 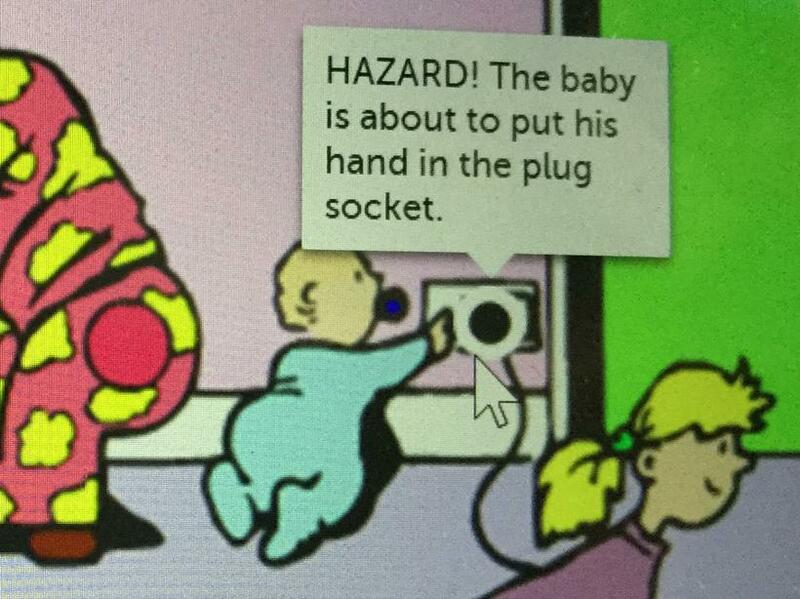 A hazard is what we call something that has the potential to cause us harm. 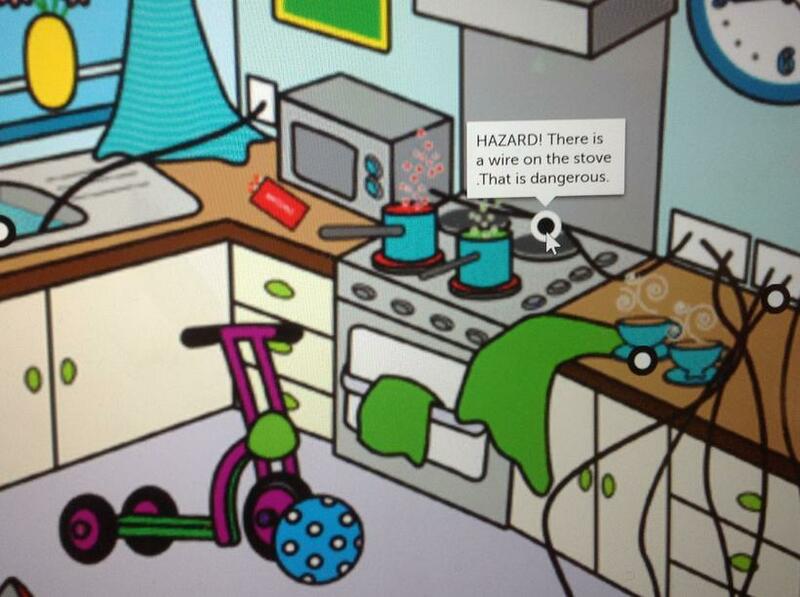 Have a look at the images below and see how many hazards you can spot. 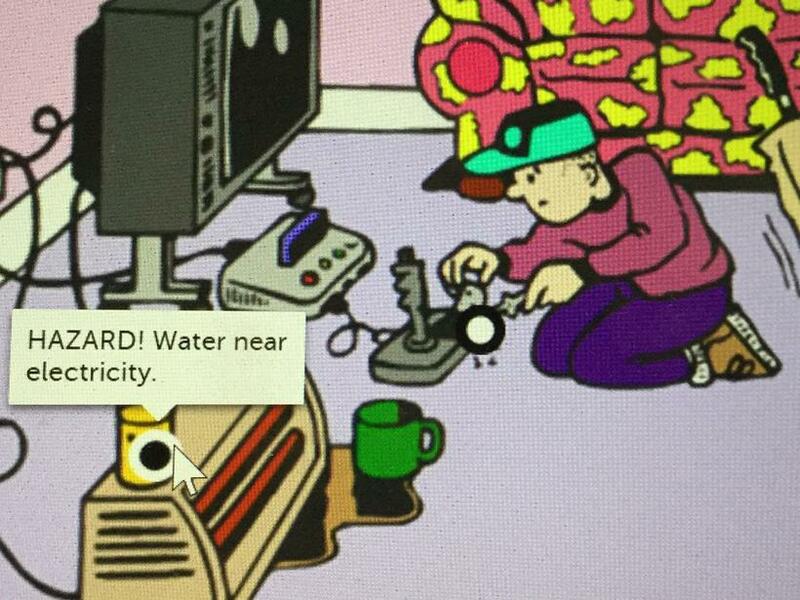 Then, check out some of the hazards we spotted.